This is part 2 of my H2H of the two “Detroit River” samples provided to me by the gracious @Cricklewood. I enjoyed the first sample very much. Let’s see how this one holds up relative to the “Detroit River I.” As of writing both of these, I do not know what they are. Sample is neat in a Glencairn. Nose: A burst of fruit and caramel! Blackberry, red apple and raspberry. Vanilla. Very flavorful and potent, yet it doesn’t singe my nose hair. This sample lacks some of the honey and chocolate of the first sample, which I miss, but the fruits are a tad bit “darker” and “richer” which I prefer. This one also has the cucumber note but it’s sweeter. Watermelon and cantaloupe come in as well. Again, lots of things going on. Palate: Powerful, packed full of flavor. A bit hotter than the first sample. Again, fruit salad smeared in vanilla cream. As with the nose, the fruits in this sample are darker than those of the first sample. This whiskey seems a bit richer in general. Red apples, blackberry and raspberry. Chocolate, and a small hint of smoky, oaky char. After the fruits and vanilla come the spices. Not as much as the first sample. Again, this sample seems a bit richer too me. Honestly after a third sip I feel the spices more after swallowing as opposed to while the liquid is in my mouth. So, I will move those to the finish. Finish: Here the spices come more into play. Chili peppers, but not as pronounced as the first sample. Moments later, the honey that was so prominent on the nose of the first sample comes back. Lingering finish. Overall: Another cracking dram. Powerful and full of flavor. Not too hot at all when sipped neat. I think the first sample wins on points slightly over this sample just because I think there was a tad more going on with that one. On the “balance” I’ll probably rate this one a point less. Nevertheless, two great whiskies. I would probably come down to preference. This one is a bit “darker” and “richer” while the first sample is “brighter” and more layered in my opinion. Either way, two great whiskies. Thanks again @Cricklewood! @casualtorture, a magnificent review! 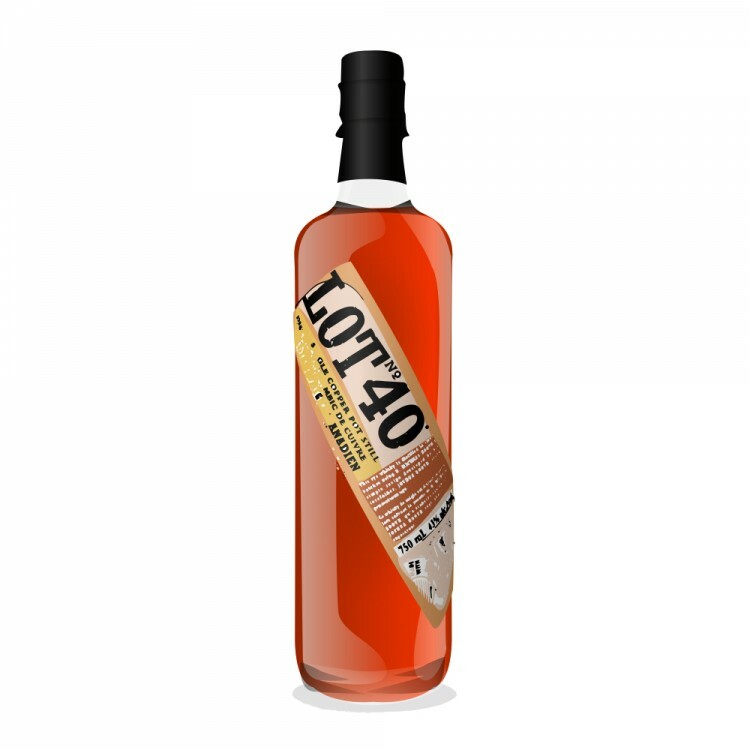 You interpretation of Lot No 40 Cask Strength Rye is both vivid and accurate. You have captured the essence of both the 2017 and 2018 releases. YES the First Edition from 2017 is sweeter. I think of it as big and chewy, closer to the delicious flavours found in Wiser's Legacy. The 2018 edition is spicier and sharper, more akin to Wiser's Dissertation. Bravo! Job well done! 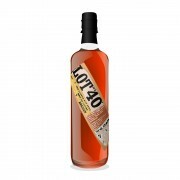 Welcome to Canadian Cask Strength Whisky. about one month ago 4Who liked this? @paddockjudge Thanks! I enjoyed both immensely! I would probably come down to preference. This one is a bit “darker” and “richer” while the first sample is “brighter”. ^^^^^^ This nails it. I enjoyed both tremendously, but I prefer the lower, richer, more prominent “bass” notes of the 2018. But we’re talking a difference of 1-2 points for me. Excellent review. @OdysseusUnbound Thanks! Yes they are both great. It's like picking between a Porsche and an Aston. You can't go wrong. about one month ago 1Who liked this? Good news.. This is back on sale in the UK. Bad news... It's the same price as a glengoyne or a glendronach 21 years old! @RikS What is it doing for sale in the UK?!?!??!?!?!?!! It should stay in Canada! @Nozinan would it be rude of me to agree? @RikS - Really? Where's that at? Not surprising, but if that's the case, as much as I liked the 40 CS, I'd happily have a couple of the standard and have some money left over for a bottle of, say, Mortlach 16 or Tali 18. 23 days ago 1Who liked this?